A blog about old and antique silver. We'll be sharing the most intriguing facts, information and images we can find about antique silver, old sheffield plate and silver plate. 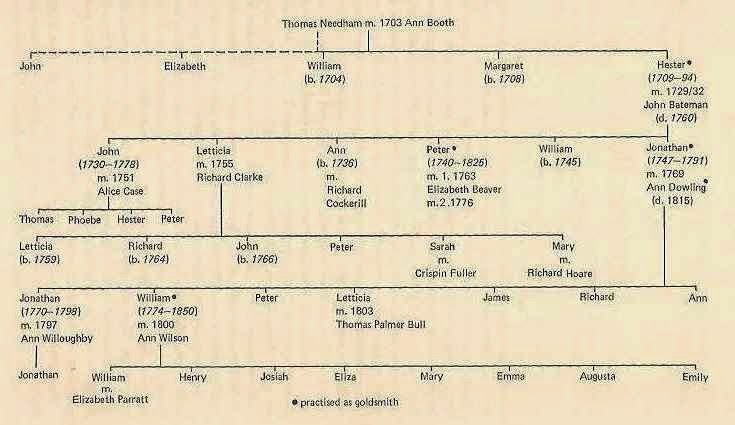 Born Hester Needham in London in the early 1700s, there is uncertainty as to her exact date of birth but sources place it between 1704 and 1709. She was born in Clerkenwell, just around the corner from here (the London Silver Vaults). Not much is known about her childhood, but we know she married the goldsmith John Bateman between the years 1729 and 1732. 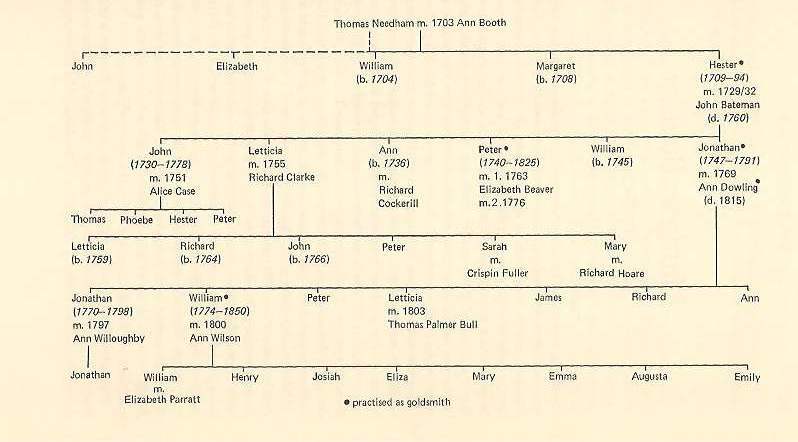 Together they had five children, some of whom were already apprenticing in the family business when John passed away as a result of consumption (TB) in 1760.
at Goldsmiths Hall in 1761. Very few examples of work from her early career are known to exist. This was probably due to the fact that the Bateman workshop was busy doing commission work for other silversmiths. In the mid 1770s Hester began producing more of her own work and gained a reputation of making desirable silver pieces of her own, specialising in tableware. Things such as sugar baskets, pepper pots, cream jugs, tea caddies and teapots to name just a few, were being made in the Bateman workshops. Although most of the work was done by hand, the workshop did embrace new machine technology. Much of her late husband's chain and wire work was machine produced, so Hester was already familiar with the concept. Her work was thought to be very fashionable at the time, keeping up with trends of the moment and adding the feminine touch. She was known for her pretty bright cut engraving and beaded borders. She also produced delicate pierced work. Her work ranged from simple domestic items, to commissioned items for various companies. Even today her wands made for the vergers of St. Paul’s Cathedral are still in use. She worked through the 1770-80s and finally retired in 1790 at the ripe old age of 81(isn). After her retirement the Batemans continued with the family business with her sons Peter and Jonathan registering their own mark. Their mark was registered on 7th December 1790 and was very short lived as, sadly, John died on 19th April 1791. The mark, therefore, was only in use for less than five months and as a result their work is very rare and considered some of the most sought after today. In 1791 the mark was changed to Peter and Ann Bateman (Jonathan's widow). The family legacy continued with various members working in the business until it closed in 1843. For a lady who was allegedly uneducated and illiterate, she certainly made her mark in silver and in history. Hester Bateman died September 1794 and is buried at St. Luke's, Old St. London. Let me tell you a bit about myself. I work down here at the London Silver Vaults for I.Franks, where I manage one of our shops and write our blog. My background is in bars, pubs and restaurants so I am a relative 'silver newbie'. I am originally from Canada where I have now gained antique status but thankfully, here in the UK, I am considered vintage. I hope to take you on my journey as I learn more about silver and life in the vaults.